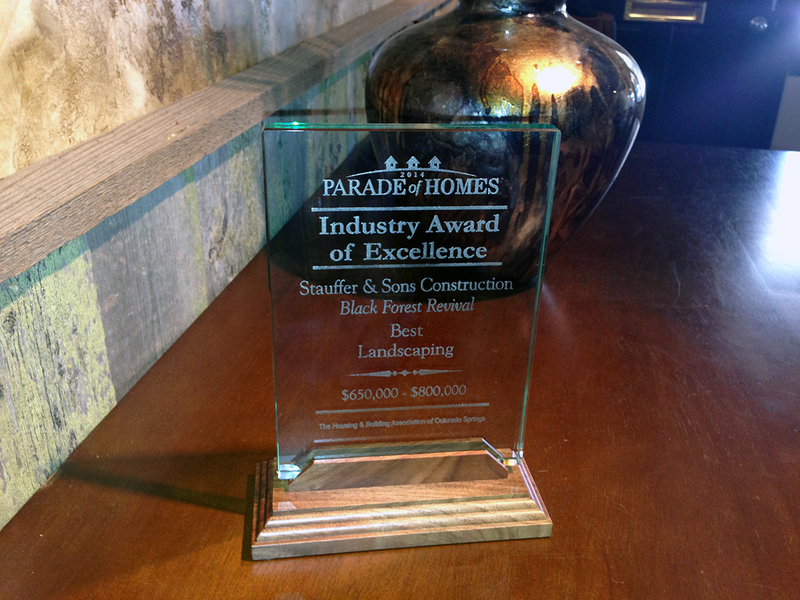 Stauffer & Sons was proud to have received an “Industry Awards of Excellence” award from the Colorado Springs Housing & Building Association for our Parade Home, the “Black Forest Revival.” The award recognizes the large outdoor living space we added to the home to take advantage of the beautiful lot in Black Forest that the home was built on. Major thanks to Roger Haywood from Accent Landscapes for making it all possible. Roger’s team has been a great asset to us over the past few years and we’ve used Accent for several custom homes.